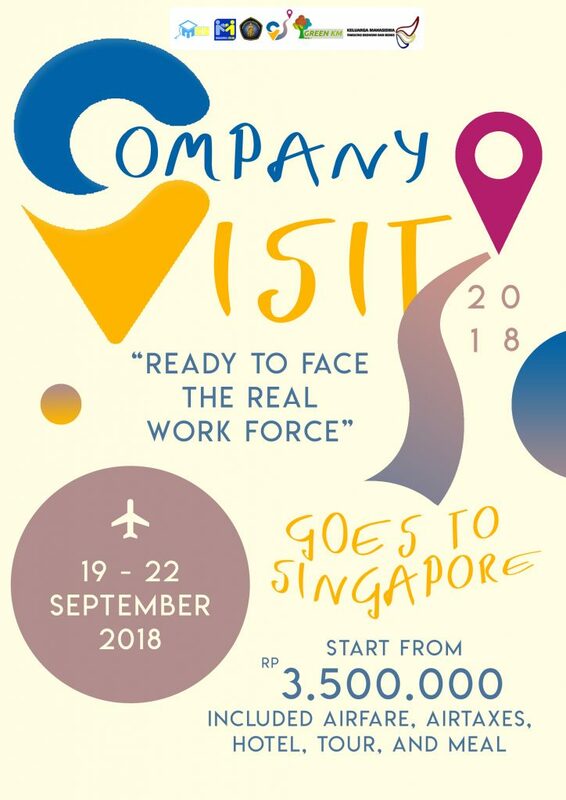 Student Association of Management in Economics and Business Faculty will be holding Company Visit 2018 to Singapore on Wednesday, September 19, 2018 – Saturday, September 22, 2018. The goal from the CV itself is to see and understand how the management system of a company and growing the spirit power inside participants to reach their dream. The theme of the company visit this year is “Ready To Face The Real Work Force”. Company Visit 2018 will visit some company in Singapore. The company that we will visit are HSBC, Carousel Studios, Grab office, Coca Cola, Unilever Asia. In addition to visiting several company, for students that join company visit can also get some tourism attractions as an entertainment to relax their mind. Our hopes for Company Visit 2018, students can be motivated to learn more enterprising and success in the future and knowing for real application of academic theory. And with this activities, the student’s understanding of subject in college increasing.